It's Five for Friday (on a Saturday). It was a long week. Coming back from spring break was tough enough, but I spent a loooot of time in meetings or talking to parents or trying to solve drama. Does anyone else think "family mode" hits around this time of year and your kids start bickering like siblings? At least we finished up round 2 of state testing (just one more to go! 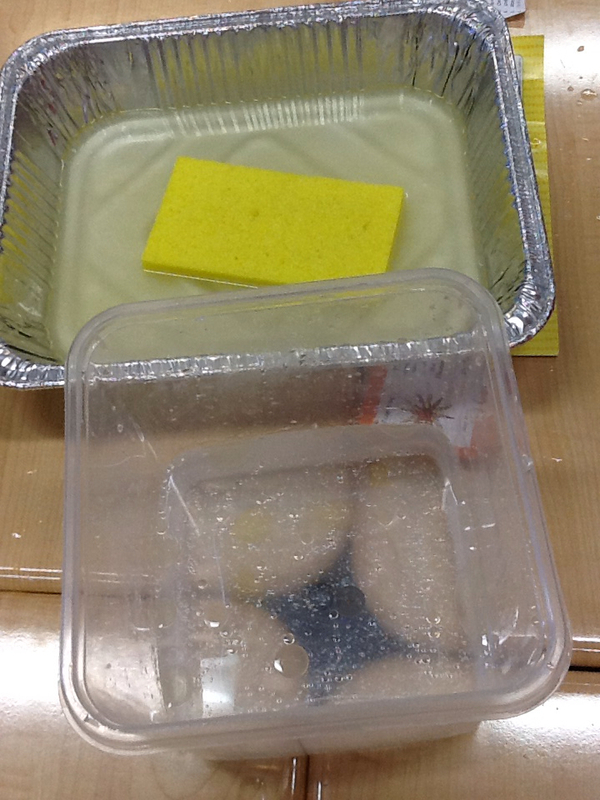 ), and I finally feel like I got a chance to teach again! 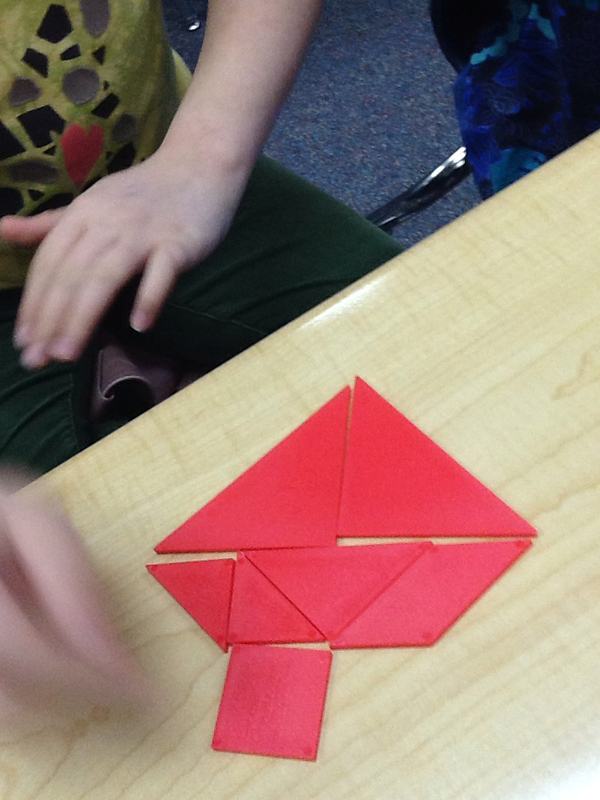 We got out tangrams for the first time this week, and my kids had a blast trying to solve some puzzles. 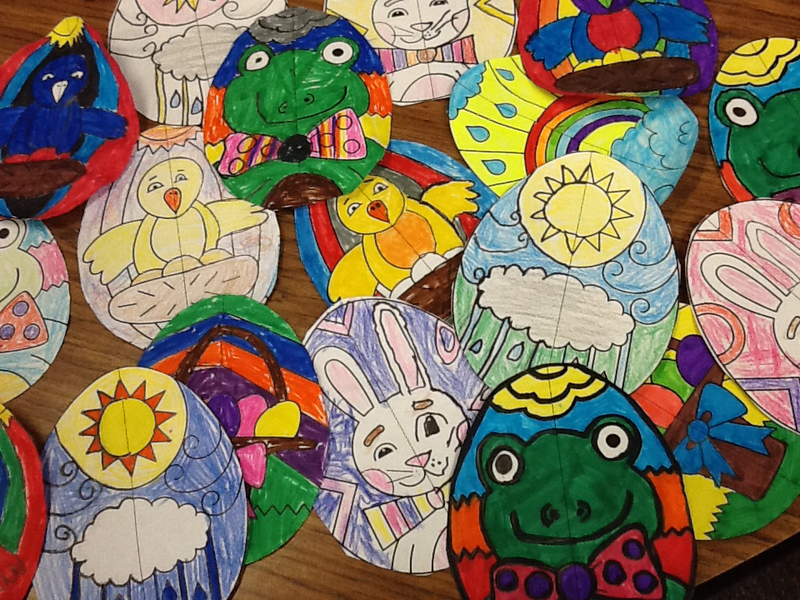 We used Loreen Leedy's "Symmetry is Egg-citing!" product from TpT. (I wrote more about it last year here.) It's such a great authentic assessment for symmetry, and will look great in the hallway with some Easter grass next week! 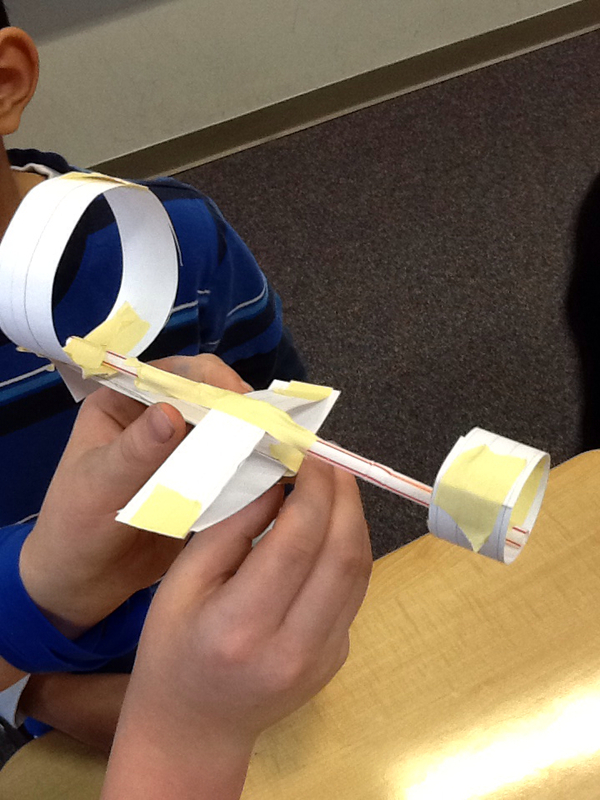 My kids tested out some glider designs this week. And now... (sigh)... It's a report card weekend. Time to power through some grading! 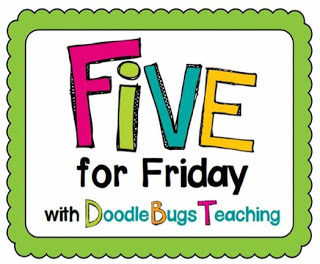 Make sure you link up with Doodle Bugs Teaching to show us a little about your week! Can I just say HALLELUJAH that our second round of state testing is finally over? 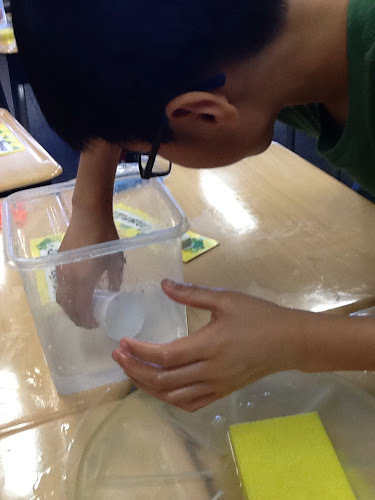 When we test in the morning, I've been making a special effort to make our afternoons very interactive and fun. Tuesday, we did that through some themed learning about sea turtles and oil spills! 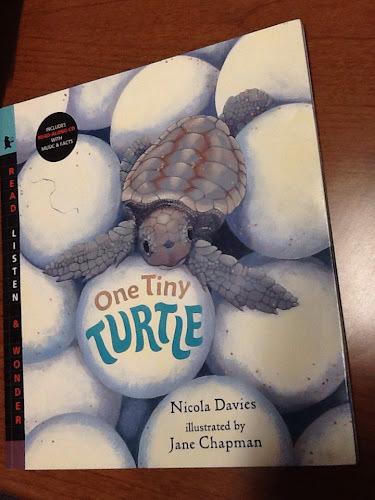 We started out on Monday reading a book I love- and picked up with a CD from Amazon for $6 a few years ago, One Tiny Turtle. I will warn you that it talks a lot about the dangers facing sea turtles, which means only ONE tiny turtle survives. 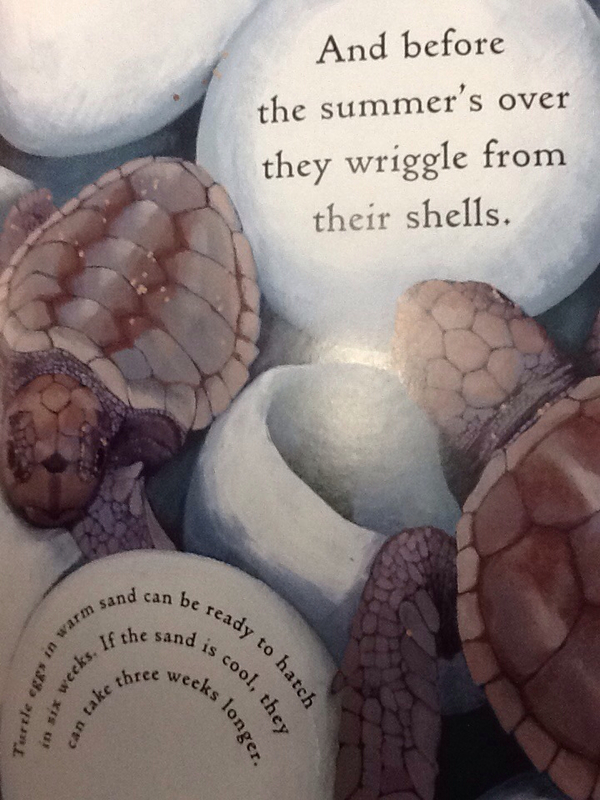 This is a good time to remind students that predators aren't mean (they're just hungry too) and explain that this is why sea turtles lay so many eggs. I also take this opportunity to tell them about the sea turtle farm I visited on vacation once, and talk about how they're helping more babies survive, so we leave it on a happy note! 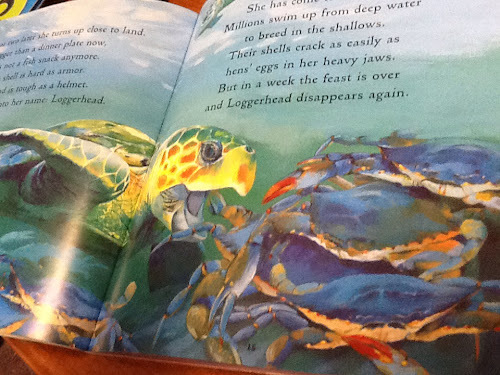 This book has a narrative PLUS sea turtle facts, and gooorgeous illustrations. (Sorry for iPad photos- I promise, the illustrations are beautiful! So we read this book aloud- once for the narrative, once for the facts- and then it's in our listening center for the week. 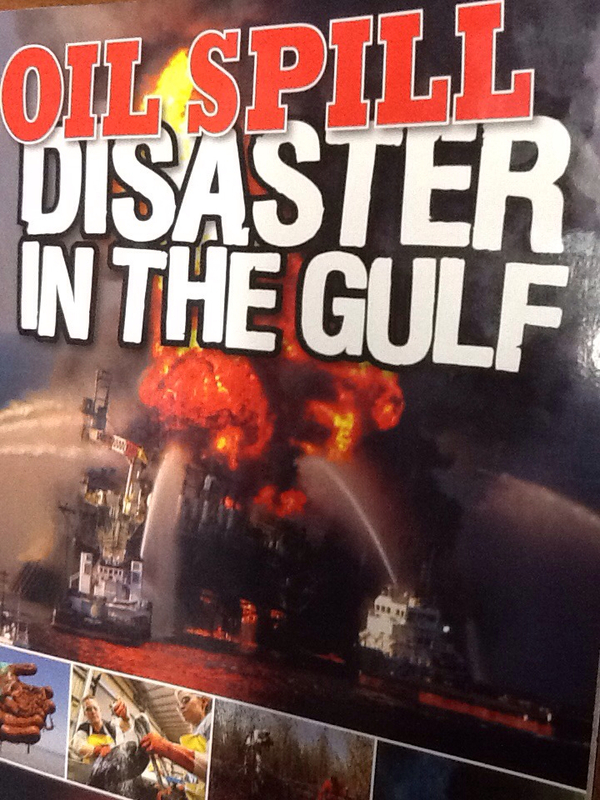 The next day, when we read about oil spills in this book, we connected the two stories together. This is a Scholastic book club find... 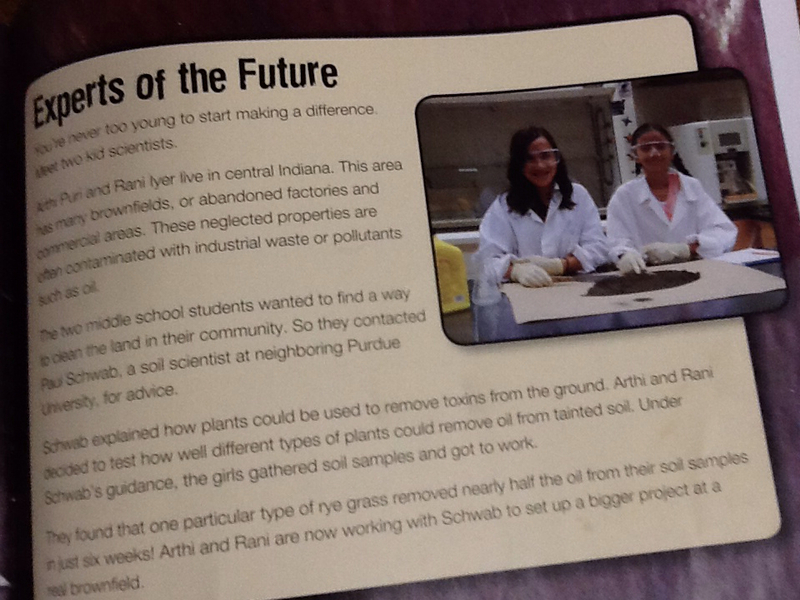 Totally terrific informational text! 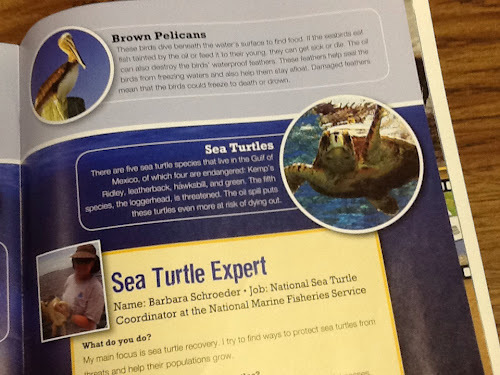 After reading part of it, my kids were able use their knowledge from One Tiny Turtle to explain how sea turtles in various parts of their life cycle would be affected by an oil spill. THIS is real, meaningful text-to-text connection! 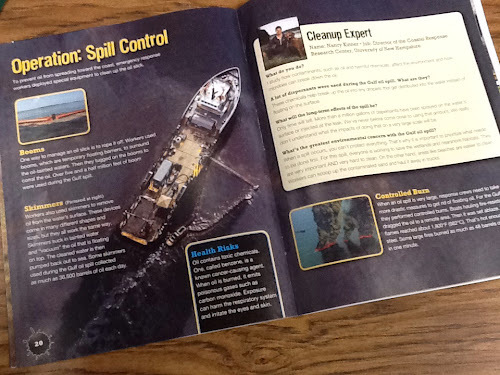 So then, before reading the parts about how oil spills are cleaned up, we tried to see what the big deal was. We first studied oil and water, and how they don't mix, as a class. 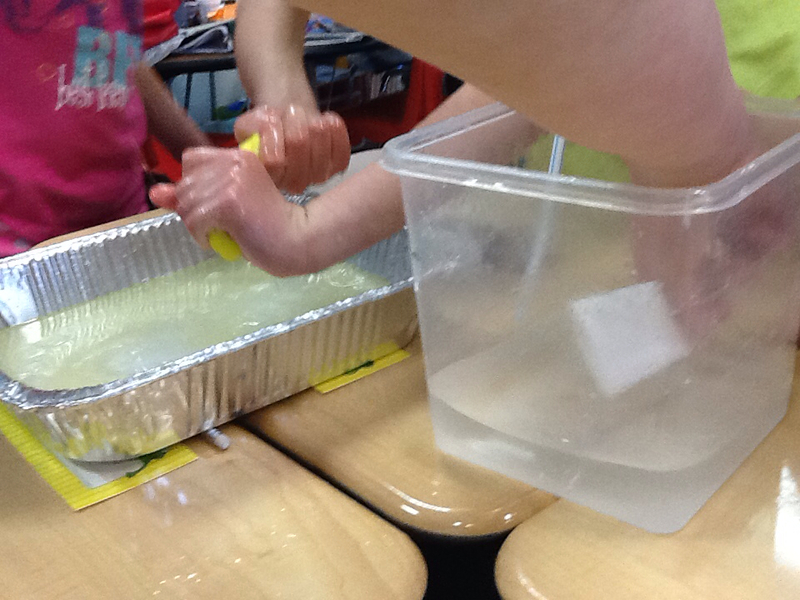 Then, each group got their own "ocean" with an oil spill, and I let them brainstorm how to clean it up. 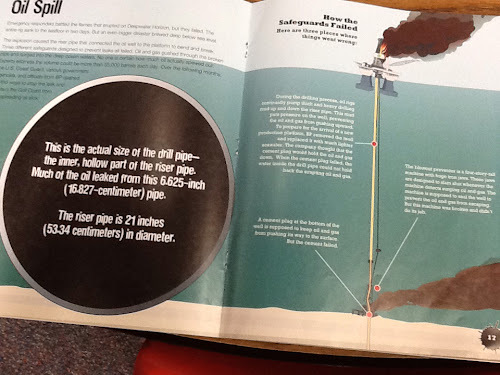 And while we got a lot of oil out, we found it was nearly impossible to get it all out of the water in our clear oceans. (See the bubbles above?) 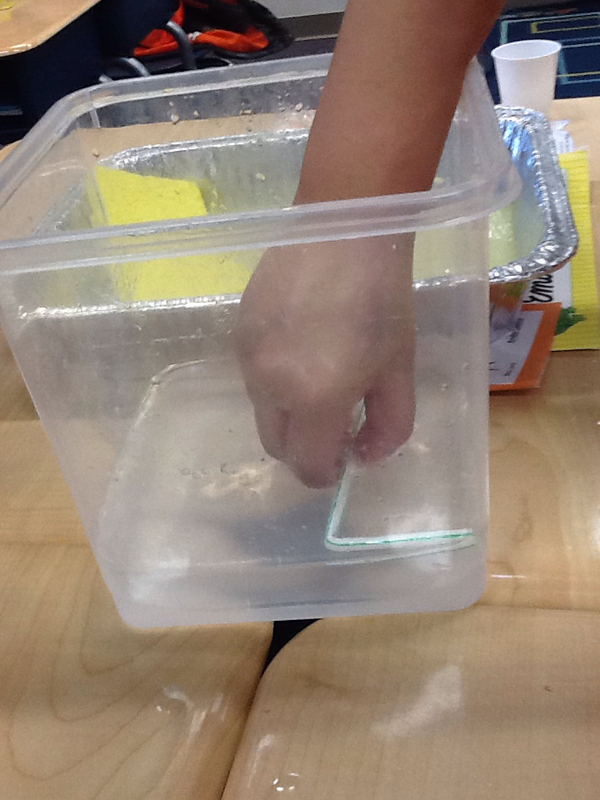 And most of our strategies wouldn't have worked as well in a real ocean, without the sides like our container had. The book confirmed that over 20 years after the Exxon Valdez spill, we are still finding oil in that area. After cleaning up, we sat down to read more of the book, and the students were amazed to find out about some research kids did at the university 10 minutes from our school (where some of their parents work). This was so easy to set up- the only thing I didn't have already in my classroom was corn oil (which I accidentally bought awhile back). 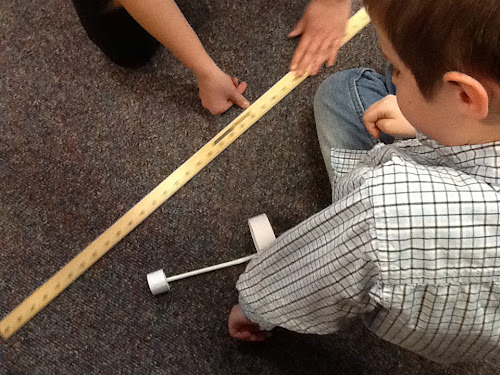 I love simple science labs where kids have a blast, but learn a lot- and tying in lots of literacy made it even better! 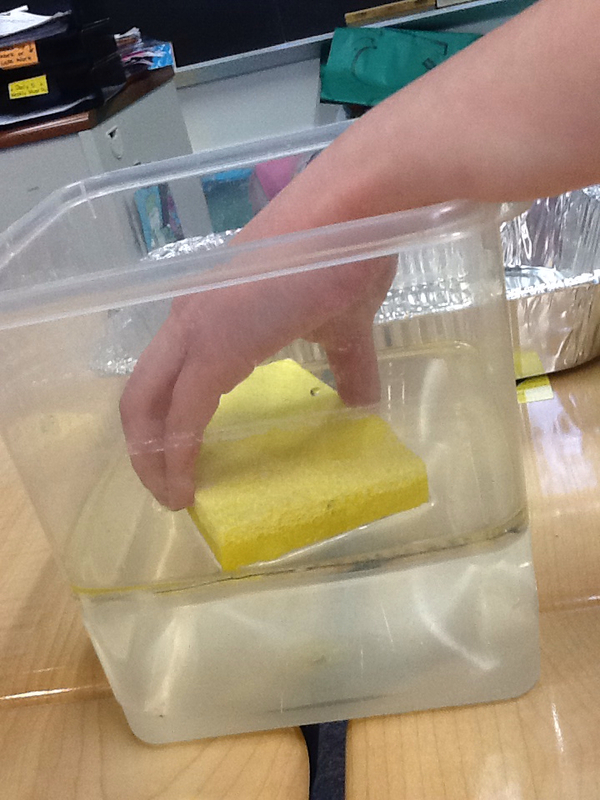 What integrated science lessons have you done lately? I’ve posted before about my teacher binder. As an organizationally-challenged person, I had to find that one thing that would hold me together as a teacher… and my binder is it. I love this thing. It’s within an arm’s reach at any given moment (home or school) and keeps me sane. And honestly? Creating it was simple. Unfortunately, my teacher binder had seen better days, so it was time to perform a little overhaul. While I’m working on my own, I thought I’d share 5 steps to creating your own teaching binder! For me, the easiest way to do this was to gather all the papers I thought I wanted in my binder, and split them into piles. This will help you know how many dividers and what size of binder to buy. Don’t forget that you can use the space in front of and behind the dividers! Pick a binder you LOVE (for me, color is huge) and splurge for the heavy duty one. Believe me- you’ll be using this thing a lot. I also picked dividers that had pockets and were easy to write on (and erase, if I change my mind later). A friend gave me Vera Bradley binder clips, and I use this one to pin my lesson plans to the cover so that the 2-page spread opens instantly when I open the binder. This binder clip also adds just enough “cute” to make me smile whenever I look at my binder! It sounds silly (seriously who has designer binder clips) but I probably see it 20 times each day. Worth it. 3. Think about the covers. What are the things you constantly need to reference? For me, a cute cover with my name on it would be okay- but really, I need my class list, my current Post-It list, and the weekly newsletter (with spelling & vocab. words, academic focuses, etc.). What papers do you need access to the most often? My lesson plan pages go in the front because I reference them throughout every day, and my calendar goes next. I put any lists for quick reference (computer logins, school schedules, curriculum maps, policies, etc.) in the reference tab. My Student Info tab holds my data (so useful when I plan my small groups at home! ), but also copies of anything like IEP’s, ILP’s, RTI plans, and documentation. The back includes things I might need to look up once a week while planning, but not daily, like my standards lists and my archive of planning pages/ meeting notes. 4. Hole punch everything and try it out! This is the perfect time of year to give this baby a trial run and give you plenty of time to tweak it for next year! I found out that having a “meeting notes” section was just not enough for me, so I added some extra subsections. You’ll find what works for you! I plan my teacher binder as something that I will take to every meeting, take home every night, and use constantly throughout my day. 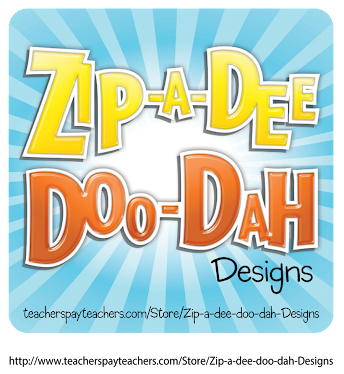 It means that whether I’m at home, in my classroom, or somewhere in the school, I have everything I need to stay organized and up-to-date! There are plenty of other guides out there to making a teacher binder, but it’s my hope that this can help you make the one that’s right for you. Yes, it takes a bit of time… but I put mine together in about an hour (minus shopping) and it has saved me so much more than that! Do you ever get that Sunday night ugh-I-should-have-gotten-more-done feeling? Well, I have that tonight… multiplied by Spring Break. It’s amazing how, when I get to a school break, I think about how much I can get done. Sure, I could relax, but it feels like I’ll finally have the time to catch up on all those things I never get to. And then I end up being a big lazybones. Again, I didn’t go in to school or finish all my grading or complete home projects like I’d hoped. To be honest, the To Do list is about half done. But I did get to visit some family, surprise one of my students, and take a little time to relax… so I guess that’s something! Grade and respond to all my kids’ reading journals. Annnd a bonus goal- get laundry done! We have some more state testing this week (round 2 of 3 for my poor kids), but I’m excited to see my class again in the morning! Well, Spring Break sure does go by quickly. Friday already?! I can’t believe it’s already time for the last quarter of school for us. This is the time of year where I start thinking about what’s working and what’s not in my classroom, and I’m sure I’m not alone. In my class, we’ll often give each other feedback as “two stars and a wish”- two good things, and one to work on. Want to join me in giving yourself two stars for things going well this year, and one wish for next year? This year, I switched to using a Daily 5-ish reading block with a CRAFT board and my reading journals! My kids get so much time to really read with 2-3 rounds each day, and the CRAFT board gives the students a place to reference the strategies we’ve learned, too. But the reading journals? They just might be my favorite part. I LOVE them. I posted about them last week. My students have shown so much growth in responding to text and really showing their comprehension, and I am so glad I decided to change up my reading curriculum this year! I love using data to track my students, but last year (my first in my own room), I didn’t keep up well with organizing the data so I could use it effectively. This year I feel like I’ve gotten a lot better at keeping individual data to show parents (like at parent-teacher conferences). I have also worked on organizing my whole class data better in my teacher binder, which really helps when I’m building my small groups. Feel free to grab the graphics from above! Thanks in advance! I love reading about what works for others, and hopefully we can help share some advice, too! Because you’re going to have those days. I have a desk drawer that, covered, looks like this. The black part comes off, though, and here’s what’s hiding underneath. I know- not the cutest thing, but I like to be a bit discreet. Extra glasses. My eyes are pretty bad, so if I had contact trouble or break my glasses, I would be completely incapacitated without backups. Tylenol and Advil (including some extra-strength)- for those days when your headache just will not quit. Extra tissues. Since this photo, I’ve found a pack of the lotion ones and I’ve stashed those instead for when I’m really sick. *ahem* Feminine needs. Don’t forget this one. Last time I needed new foundation, I put the almost-gone bottle in here for when I forget staff picture day or have a breakout out of nowhere. This is pretty necessary for a girl like me who goes sans makeup most days. A basic eyeshadow. It’s not my favorite, but it’ll do in a pinch to make me look a bit more pulled together (or awake). Bed Head “Control Freak”- so great for controlling frizz. Extra hair ties. Usually for me, but occasionally I’ll give one to a kid if they really need it (either for hair, or for something like a makeshift belt). Shout Wipe (or Tide pen)- you’re gonna need this at some point… probably on a day when you have a meeting/ conference/ observation. Lock De-Icer. Or maybe it’s only my old car that doesn’t love Indiana winters. After one time of having to crawl in from a back door and climb over the seat, I decided to leave one of these bad boys at school juuust in case I can’t tug even the back door open next time. Emergency chocolate. I, however, have zero willpower, so you’ll notice it’s not here. Vitamin C drops. I love the ones that taste like candy for when I feel a cold coming on. I know a lot of other teachers who depend on Airborne or Emergen-C. Cough drops or sore throat drops. Some kind of granola bar or meal bar, and maybe a bag or two of microwave popcorn- something that will tide me over when I forget my lunch! Comfy flats (if you wear heels often). 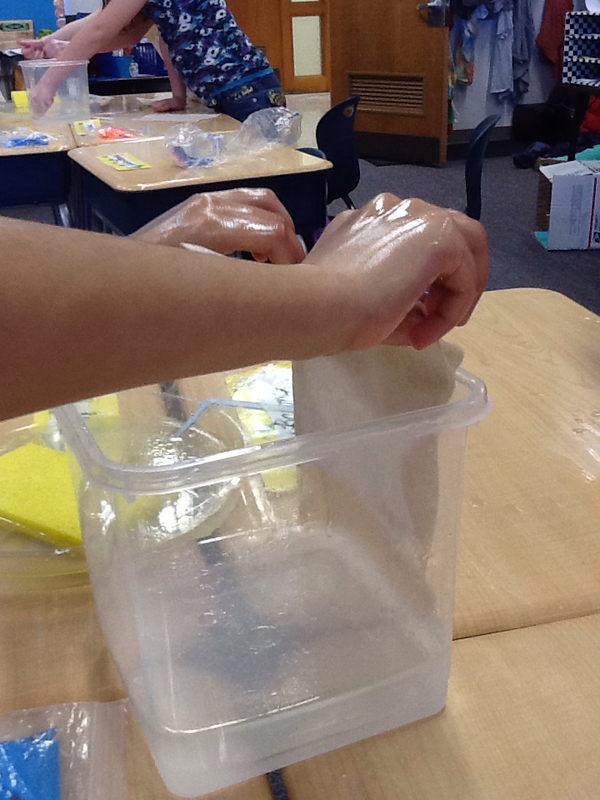 So, tell me, teachers… what are YOUR must-haves for a teacher emergency?